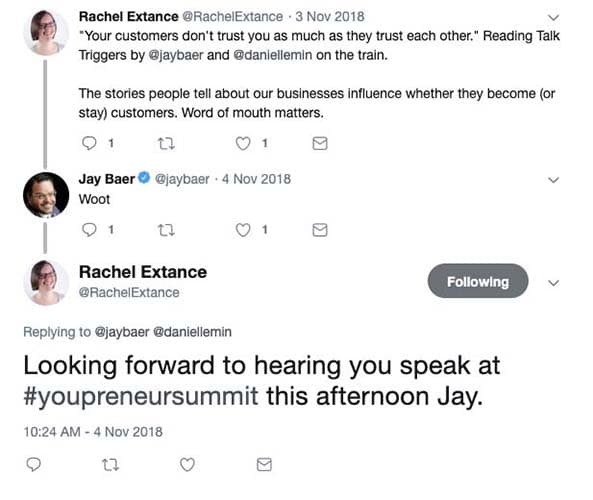 Your Questions Answered - Youpreneur Summit Edition! 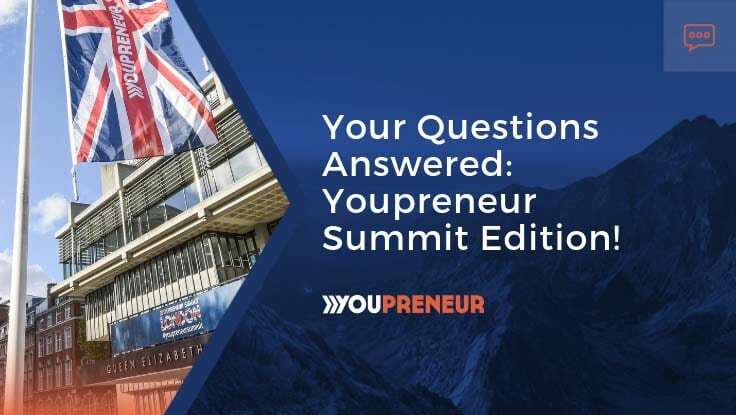 I’m knee deep in planning this year’s Youpreneur Summit so I thought what better time to answer some questions related to our annual conference, which takes place every year in London, UK! If you still have questions after reading the Q&A below, just drop the team a message and we’ll make sure to get back to you! 1. 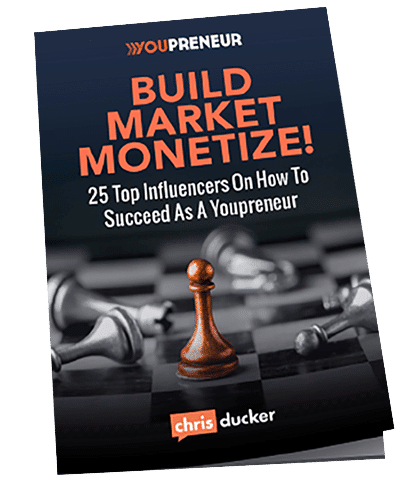 I’ve never been to the Youpreneur Summit – what overall experience can I expect? Every year, I make sure to select people who are not only thought leaders in their chosen fields but also world-class speakers, to share their expertise with you and this year’s line-up is no exception. Along with our expert speakers, you’ll also benefit from several mastermind breakouts (where we zoom in on your biggest business plans! ), high-level style networking, the best tea, coffee and biscuits in London… and lots of fun along the way! Who says learning how to build a business needs to be all work and no play… don’t forget your dancing shoes! 2. I’m coming on my own. Is there a way for me to get to know attendees ahead of the event? Absolutely! One of the highlights of the Youpreneur Summit is the people who attend. The Youpreneur Summit community has grown so much over the years, and the connections that have been made during the event have gone on to produce awesome collaborations and friendships. Your best bet to get to know your fellow attendees is to hang out in our private Youpreneur Summit Facebook group. One of our traditions within the group is to post a little introductory video about yourself and your business before we all meet in person. Don’t worry if you are a little camera shy – we’re all a part of the Youpreneur family so get your smartphone out and hit record! Another great way to meet attendees is by checking out our official event hashtag #YoupreneurSummit on Twitter and joining in the conversations. 3. What can I expect from the Mastermind Breakouts? How can I make the most of them? The Mastermind Breakout sessions are game-changers for many Youpreneurs. This is where you get a chance to flush out ideas, get feedback and gain clarity on business issues. Each person gets their own “hotseat” to talk about a pain point, or challenge that they are going through in their business, as well as any ideas they might want feedback on, and fellow entrepreneurs seated at your table provide tips and suggestions. PRO TIP: During the mastermind sessions, take note of Youpreneurs that seem to gel with you and what you’re all about. Creating connections with these people can ignite great working relationships and may even lead to the beginning of your own private mastermind group. 4. I’ve just left the corporate world to start building my own business – is this the right conference for me? The Youpreneur Summit is the perfect conference for you! The Summit will give you everything you need to know to take your business – no matter where you are in it – to the next level. Our attendees range from solopreneurs to big agency owners and marketing rockstars, the common denominator being they are all serious about building their future-proof businesses. We focus on three main content and teaching principles over the course of the weekend: building, marketing and monetizing your business so no matter what stage you’re at, you will benefit from being with us in London. After all, part of building a successful business includes surrounding yourself with other highly-successful entrepreneurs and there will be plenty of them at the conference! 5. Will I have access to the speakers? Absolutely! The speakers spend the weekend at the event with you. Chances are you will see them sitting at the table next to you, or networking with everyone during the breaks. Don’t be afraid to approach them and strike up a conversation, or ask a question! If you feel that walking up to them directly is a little too intimidating you can always start a conversation with them on social media before the event to introduce yourself. A friendly tweet can go a long way! 6. I’m thinking of grabbing a VIP ticket… what is the third-day Mastermind? The Mastermind Day is an intimate, exclusive one-day event that’ll bring you the clarity you need to re-focus on your business goals deeper than ever, so you can grow faster than ever before! 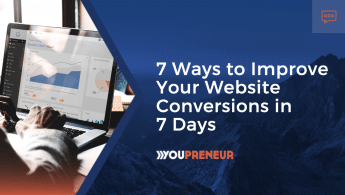 You’ll spend the day with myself and 80 other entrepreneurs solely focused on your annual goals as well as your overall aspirations as a business owner. The day is designed to assist you in regaining the clarity needed to tick off those goals and plans. You’ll have the opportunity to participate in a 30-minute hot seat where you will learn from other likeminded entrepreneurs and myself, as well as network and brainstorm. We also have a special surprise workshop planned with one of our speakers from the event, who will be deep diving on a topic that is both relevant and game-changing for any business owner in 2019 and beyond. 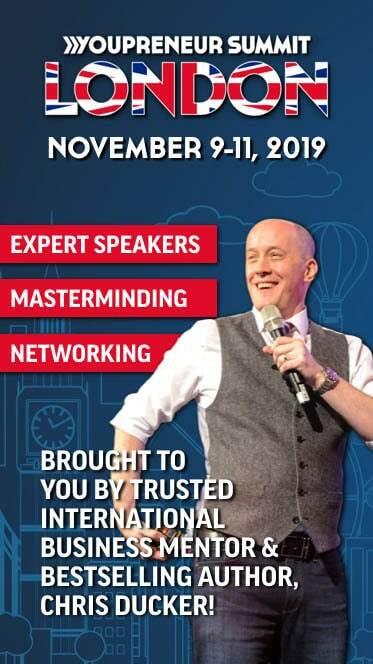 All in all, the Youpreneur Summit has become the go-to conference for entrepreneurs – not just in the UK, but from all over Europe, the USA and the rest of the world. Our past attendees have ventured to London from over 40 countries around the world. Why travel in for this event? Because it’s bloody awesome… that’s why! 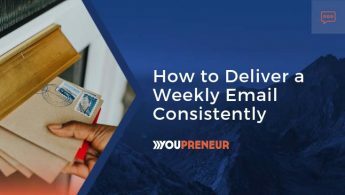 If you have questions that are unanswered, drop Team Youpreneur a message and we’ll get back to you with an answer.